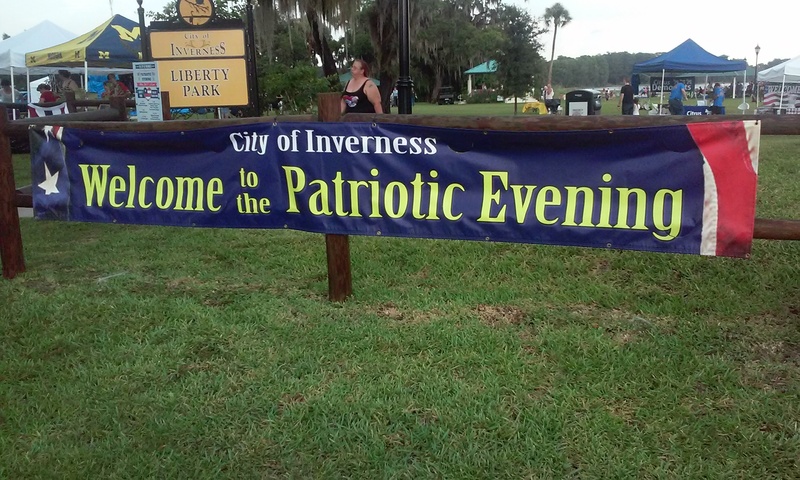 The annual Patriotic Evening, held at Liberty and Wallace Brooks Park every July 3, was successful for yet another year with crowds gathering on land and in boats for the food and firework spectacular. The vendors set up their areas, the stage, as well as a small fun zone of bouncy house rides for kids at 5 p.m. With all different foods from kettle corn to funnel cakes, snow cones, and to so much more barbeque the smell wafted around drawing in early crowds as well. The event is well patrolled with officers to enforce the few strict rules such as no bringing of alcohol, personal fireworks, pets, and coolers to prevent any incidents. Music played from the stage all night until the fireworks display from current trends off the radio to live music performed by the T.J. Brown Band. Music played from what children today love and to the classical Independence Day tunes. As crowds began to gather at both parks space diminished and instead of grass, blankets and lawn chairs covered the ground. Boats crowded in Lake Henderson as well, with a few of them lighting off their own fireworks as early celebration. Lines formed at food stands for the appetizing smells and filling foods quickly and came to the point of almost becoming an hour long wait. “We made the bad decision of waiting until just before the fireworks for food, but for the homemade kettle corn, it was worth it,” Reese Coleman said. Prices helped as well and even with lines at the vendors who donated money for nonprofit organizations. Since the parks are also located near Downtown Inverness, pubs and eateries were also available for those who wished to walk a bit for food. When dark finally fell, everyone settled in for the amazing fireworks display. All different colors lit up the night from peonies to chrysanthemums, beehives and willows, and crosettes and pearls; the display was enthralling to all who came. Every year they save multiple fireworks for a grand finale, only this year was a tad different. Instead of giving a pause for one finale they gave two one with the smaller, louder fireworks and then one a few minutes later for the bigger, more astonishing ones. 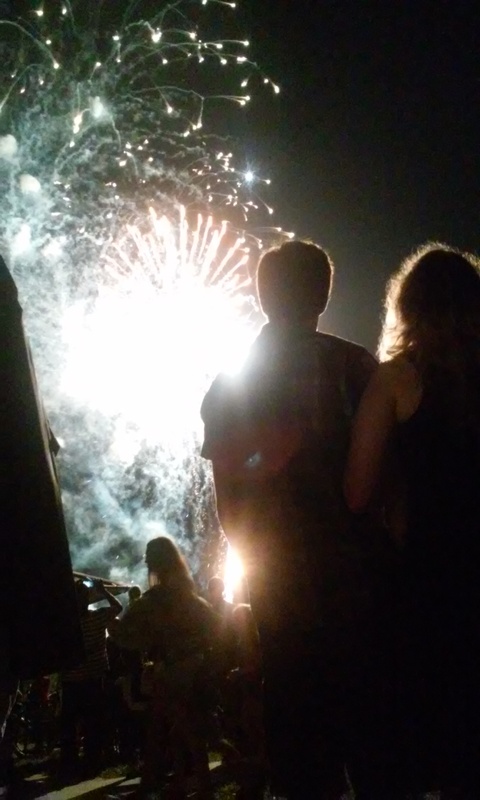 “It was nice to not work a vendor this year and just enjoy the park and fireworks. It gives disconnect from distractions and time to just enjoying time with family and friends,” Brandon Dolan said. While parking and traffic afterwards can be hectic and timely, the experience each year is just as remarkable as the fireworks themselves.